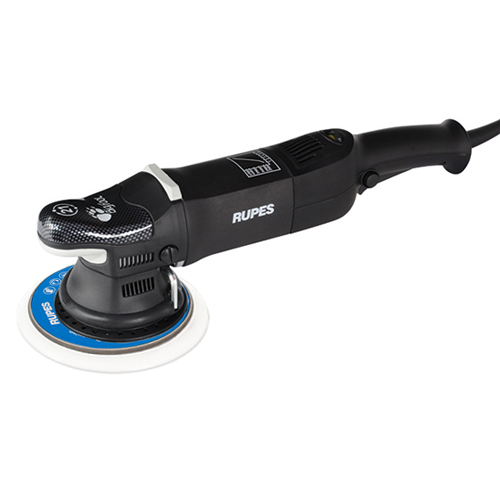 RUPES BigFoot LHR 21 Mark ll Random Orbital Polisher takes your polishing skills up a notch with this well balanced, vibration free orbital polisher that is perfect for working on large surface areas to achieve a stunning show stopping shine. The RUPES BigFoot LHR 21 Mark ll Random Orbital Polisher is a high quality Italian design with attention paid to every detail including the soft grip material and ergonomic handgrip for greater comfort for extended polishing duration while producing a swirl free finish. 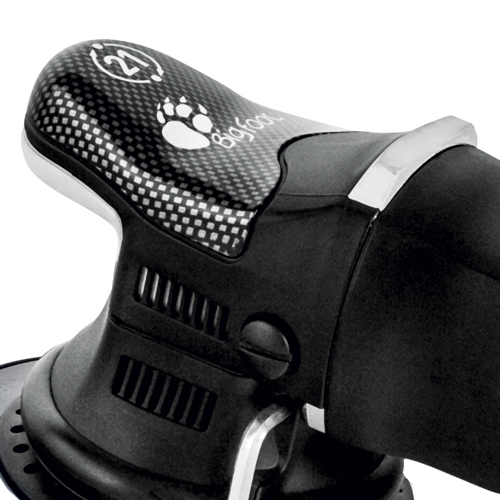 For added safety RUPES BigFoot LHR 21 Mark ll Random Orbital Polisher features an on-off switch lock located on the left side of the handgrip allowing for free hand movement to various gripping positions while polishing without the worry of accidentally hitting the switch. 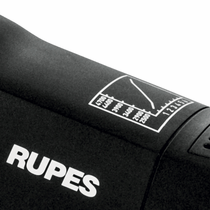 RUPES BigFoot LHR 21 Mark ll Random Orbital Polisher comes equipped with a variable six speed electronic control module so speed may be precisely adjusted without interruption of the polishing process for any polishing situation. Max Pad Size: 180 mm - 7"
Backing Plate: 150 mm - 6"
Orbit: 21 mm - 13/16"